The Islamabad High Court (IHC) on Thursday ordered the Defence Ministry to submit a report on an inquiry conducted into former Inter-Services Intelligence (ISI) chief retired Lt Gen Asad Durrani by General Headquarters (GHQ) after the former spy chief sought removal of his name from the no-fly list. 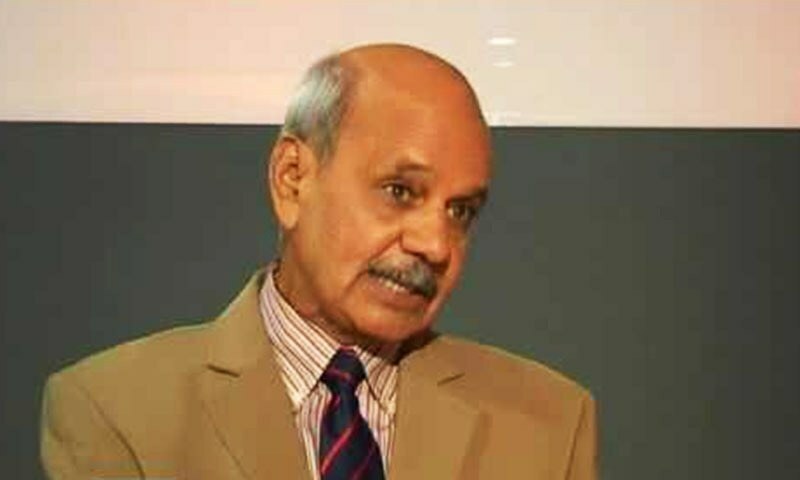 Durrani’s name was placed on the Exit Control List on May 29 upon the Pakistan Army’s request after he visited GHQ on May 28 to clarify his stance in The Spy Chronicles, a book co-authored by him and Amarjit Singh Dulat, former chief of Indian spy agency Research and Analysis Wing (RAW). The former director general (DG) ISI had petitioned the IHC on Oct 2 seeking removal of his name from the ECL. Justice Mohsin Akhtar Kiyani, who is hearing Durrani’s petition, today also ordered the Interior Ministry to submit a reply explaining why Durrani’s name had been placed on the ECL. Defence Ministry Director Law Branch Falak Naz, who was representing the Defence Ministry in court today, said that Durrani had written a book along with the former chief of the Indian spy agency. He said that Durrani had remained the DG Military Intelligence and the DG ISI and there was a pending inquiry against him in GHQ. Naz said that he couldn’t speculate about when the inquiry would be completed, and added that Durrani had also been a part of the 2012 Asghar Khan case regarding the distribution of money to politicians. Retired Air Marshal Asghar Khan had accused former army chief retired Gen Mirza Aslam Beg and Durrani of corrupting the democratic process with money. Nearly 16 years after the petition was filed, the Supreme Court ruled in 2012 that the 1990 general elections had been polluted by dishing out Rs140 million to a particular group of politicians only to deprive the people of being represented by their chosen representatives. The apex court on June 2 this year sent notices to 21 army officials and politicians. The former DG ISI’s lawyer Omar Fakhar Adam said they were not sent any notice regarding an inquiry into Durrani after his book was released, adding that the former DG ISI was once called to the GHQ headquarters for tea, during which only chit chat took place. Adam pointed out that in the Asghar Khan case, General Beg’s name had not been placed on the ECL. He argued that his client had to go overseas for a conference on November 26 and 27, and and his name should be removed from the ECL. Justice Kiyani said that until the GHQ inquiry report and Interior Ministry’s reply were submitted, nothing could be done. The case was postponed until December 3.